Failure to understand the audience's needs and interests. It's important to establish common ground with your audience. That's your platform for building trust, without which you'll never be persuasive. The quickest way to establish trust is to demonstrate that you care. And failing to know your audience makes it awfully hard to show your concern. So do your homework up front. Learn all you can about your audience, in particular, what their needs and interests are relevant to your topic. Nothing really compelling to say. Technical professionals, especially engineers, are generally conservative by nature and loathe to say anything that might be questioned or considered provocative. Yet that's often just what needs to be said. If you have to distinguish your firm, you need to bring a perspective or a solution that's different than your competitors. If you're seeking support for an innovative approach, you've got to shake up the status quo. Don't be afraid to share your ideas, even if you don't yet have all the evidence to back them up. Research indicates that speakers who challenge their audience's thinking make the biggest impact and are most remembered. Poorly structured presentation. Many of the presentations I've heard in our industry are structurally flat, or what I call lacking "contours." This means that the content is presented as if it were all of equal importance. The presentation lacks the high points that help provide context and renew audience attention. Having a 3-5 point presentation helps, but usually this problem is due as much to delivery as organization. The presentation may have a few key points, but if the speaker fails to appropriately emphasize them with voice inflection, pauses, gestures, visual aids, etc., they may not register with the audience. In writing, we insert section tabs or bold headings. Consider how you can create the same effect verbally. Failure to connect interpersonally with the audience. 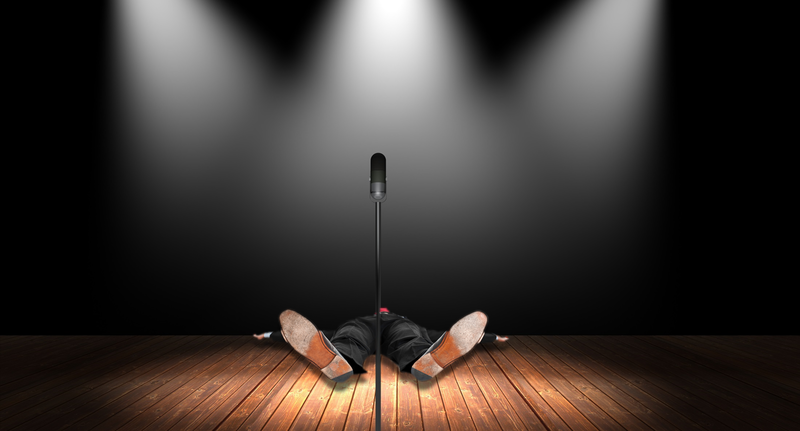 Many speakers focus more on acting out their scripts than interacting with their audience. This is where I depart from the norm as a presentation coach. I encourage dialogue in your presentation, even if it wasn't requested (such as in a shortlist interview). I want the presenter(s) to engage the audience instead of just talking at them. Then a wonderful thing happens: The speaker grows more comfortable, so does the audience, and there's more productive communication. Even if you're speaking to a large crowd, you can engage them. Ask questions, ask for a show of hands, get them to do something, etc. Ineffective (or even distracting) visual aids. Many technical professionals use slides more as speaker notes than visual aids. In fact, most slides I've seen over the years aren't visual aids at all; they're visual distractions. Keep this in mind: No one can read and listen at the same time. When you display a wordy bullet slide (with all bullet points appearing at once), you force the audience to choose. My guess is that most do a little reading and a little listening, so that the net effect is they missed much of what you presented. Keep bullet points short and bring them up one at a time. Better still, use pictures and simple graphics. Make sure your visual aids are working for you instead of against you. What Can Your Firm Learn From Matchmaking Sites?